Hey Coach, I Want to be a Leader! Do you consider it your responsibility as a coach to teach leadership to your athletes? If you do not, you are missing an opportunity to improve your program and your players lives. You’ve likely heard the proverb that reads, “Give a man a fish, and you feed him for a day. Teach a man to fish, and you feed him for a lifetime.” From this lesson it follows that teaching a player to lead will feed her leadership growth for a lifetime. However, teaching leadership is far more complex than teaching someone to fish. So what do you do when there are no seven habits of this, or no five rules for that? The truth is, the teaching and learning of leadership in a student-athletic environment is a messy pursuit. Peer-to-peer leadership is a demanding venture. For young emerging leaders tackling tough problems, even when the student-athlete is willing and able, is fraught with risk. When attempting to lead, student-athletes are likely to encounter a range of emotions that include, fear, uncertainty, and doubt. How you help them learn through these emotions will, in part, determine their effectiveness and success as a team leader. Do you consider your responsibilities as a coach to include the role of a leadership educator? I hope you do. You have the perfect leadership laboratory for developing leaders. So what gives? Why do many programs fail to produce highly qualified leaders—for the immediate moment as well as life beyond sport? It’s been my experience as an observer of many teams over the years that often what’s lacking for the budding leader is simply opportunity. 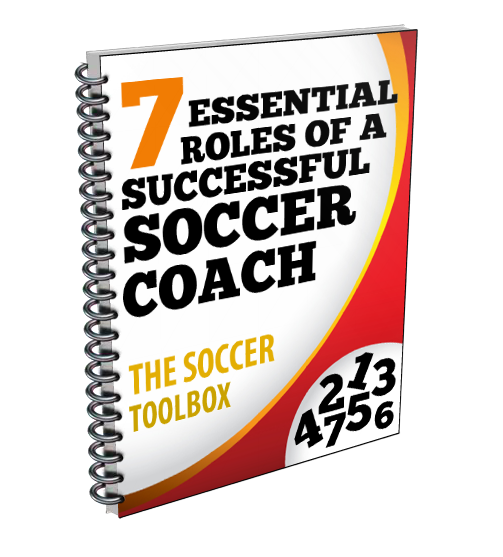 Most coaches appoint team captains or assign the role based on some type of criteria (such as seniority). And likewise, a great many coach will in the final analysis suggest that they either had effective or ineffective internal (player) leadership. Deep down, it’s one thing to say you value leadership from your players. It’s another thing to give them extensive opportunities to lead by creating developmental culture. If you had to choose, which would it be? Would you want a very successful season in terms of wins with a player or two along the way learning how to lead at a very elementary level, or a season where every player experiences deep leadership growth and development while winning half your games? Thankfully this doesn’t have to be an either or question, but it does require you to reflect deeply on what you’re doing as a coach. Hence the dilemma: how does a coach modify his or her coaching orientation to affect the leadership experience of their student-athletes? Let me take a moment to separate leader from leadership. A leader is a person, and leadership is a process. Now, let me go out on a limb: leaders need leadership opportunities (processes) from which to learn and grow. So, if you find yourself saying at the conclusion of a season that you didn’t have any leaders, don’t focus solely on your players. Take a hard look at the process—the real opportunities your environment provided for your leaders to grow. To develop effective team leaders a simple way of looking at performance will help. Leadership performance is a function of the interaction of ability and willingness; that is Leadership Performance = f(A,W). If either is inadequate leader performance will be underwhelming. However, to maximize a leader’s growth and development you need to add opportunity to practice and perform to the equation. The revised leader development formula becomes Leader Development = f(A, W,O). Even though a student-athlete may be willing and able, they need opportunities to connect with the purpose of leadership in your team setting. Anyone wanting to lead or become a team captain will gain a solid foundation through the various (variety and quantity) leadership activities available to them. So give your young athletes lots of opportunities to gain the experience of leadership.